I had something else planned for this combination of themes, but I was in training all day yesterday and came home to summer heat. I was drained, and did not want to turn on the computer at all. So I never got around to finding the photo that I know I have in my archives. 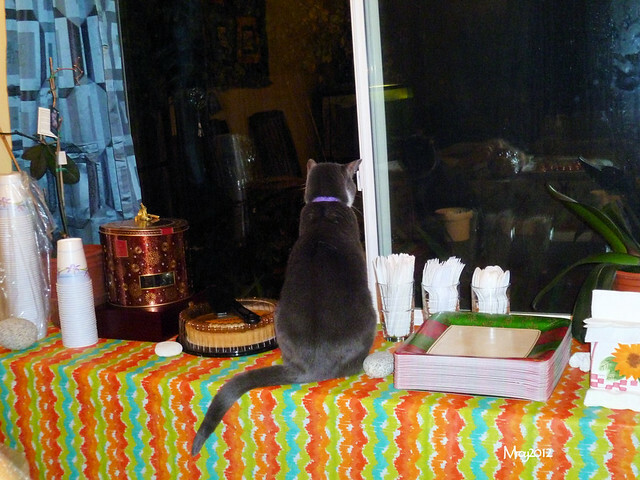 Instead, I am recycling this photo. I’m sure that some of you may have seen it more than once in the past. When I travel, my preferred method is by car. I love road trips. California is a huge state that it will take you several hours to go from the west end to the east end. We tried one day on a camping trip that involved road tripping too. 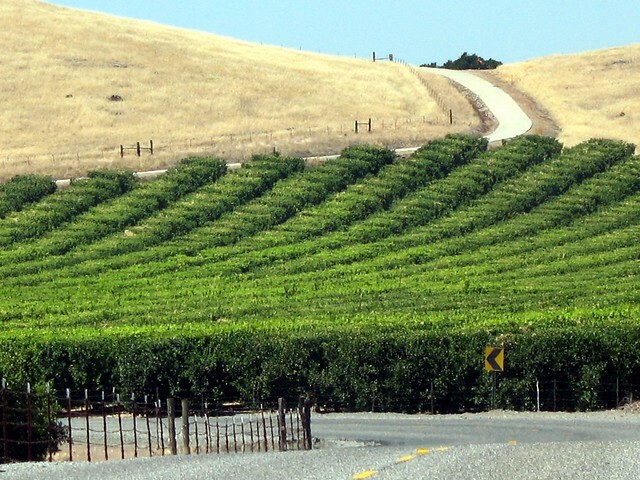 On the way, we passed by citrus grove. I know that outside of Florida, California grows the most citrus/oranges. I just didn’t expect to see it in the central valley. I thought the state’s citrus farms are in SoCal. Anyway, I remember reading that most of the citrus that Florida grows go into the production of orange juice, while California oranges are eaten as fruits. I love signage and traveling. 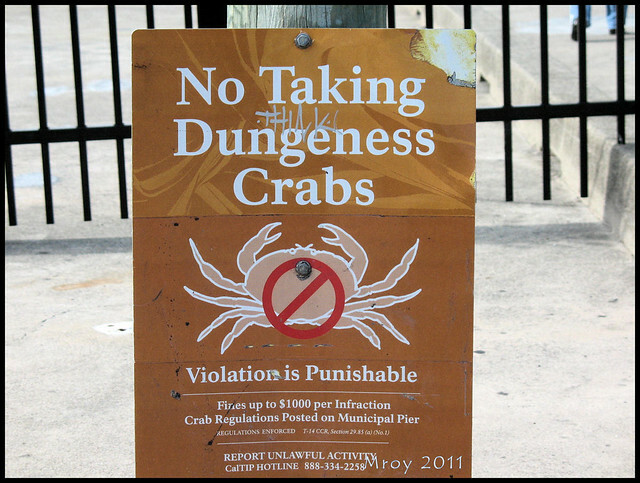 When I travel I make a point to include signs and signage in my collection of photo subjects. While in Bangladesh last summer (gosh, has it been a year already?) I laughed at the weak attempts of the government to curb people’s open disregard of traffic rules – if they have any. This attempt aimed at the foreign nationals, I believe, because the signages have only been at the streets where diplomats and other foreigners reside and not in local neighborhoods. So all throughout the length of the wide avenue, hanged at intervals different posters of what not to do when crossing the streets. See the difference in signages, first off a typical caution sign here in the states and other countries. The universal NO sign of circle-backslash sign. 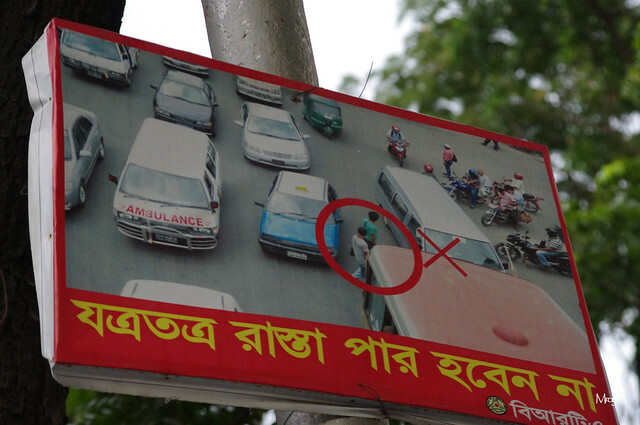 Bangladesh’s version of NO sign. A circle and an X outside of the circle. My practice (or strategy) is to take a peek at the theme list at the beginning of the week so I can prepare for what to post at the end of the week. I don’t look at the list then take photos; I look at the list and browse at my albums to see what would fit with the theme/s. For this week’s SCULPTURE, I originally planned on posting something else (the Thinker by Rodin), but accessing that photo requires scanning through tons of images saved in CDs. Yes I was planning on posting a photo that was taken in the early days of my blogging circa 2006-7. So to “simplify my life” a bit, I decided to go with plan B. I don’t have plan B. Plan B is scan through what’s been uploaded on Flick’r, which can be also be a daunting task since I have around 10,000 photos there. Anyway I come up with this for today’s combined themes, except that this sculpture is no longer where it stood when I photographed it. Read this for more information. 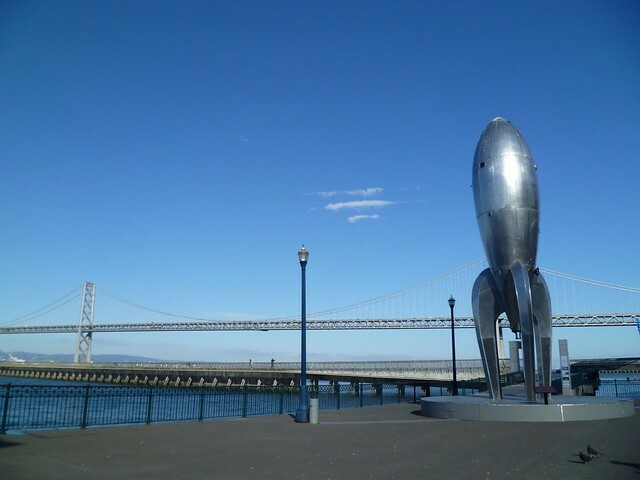 The sculpture (art installation) ROCKET SHIP invites daydreams of outer space travel. 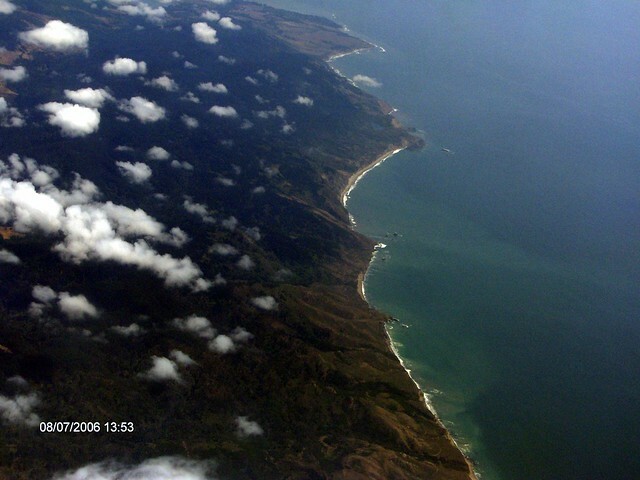 A little portion of the WEST Coast (California) as seen from above. An old photo being recycled for ABC WEDNESDAY.